Susan passed peacefully into the arms of our Savior Jesus on February 2nd at Kalispell Regional Medical Center. She was surrounded by her family. Susan fought a long battle with heart disease. She will be remembered for her strength and perseverance. She was a loving mother, grandmother and great grandmother. Susan was born in Chattanooga on October 1st 1934 to Grace Dobler and Jack Sanford. She was the youngest of five children; Jack, Fey, Ruth and Jesse. At age 15 she married Fred Hodges and moved to wheat farm in Chester, MT. She shared many stories about the work she did on the farm and the social get together at the end of the harvest season. She had two daughters, Patricia and Kathy. In the 50s she relocated to Whitefish with her daughters. She cooked many years at Casey’s for the Great Northern Railroaders, where she met Jimmie Joy. They were married and had a son, Chris. She raised her three children on a 20 acre farm on Karrow Avenue, where they lived in a chicken coop until their house was finished. She worked at Sally’s Café, the Club Bar and many other restaurants. She was an amazing cook and no one will ever be able to top her Apple Bars. She loved to garden and can, and made sure she passed that on to the next three generations. She was a great cook and all around crafter. 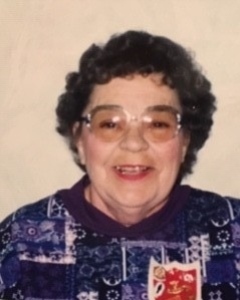 She was a member of the VFW Women’s Auxiliary and was in the Color Guard for many years. She enjoyed spending time with family and sharing stories about her life, happy and sad memories. She always had a smile and something to eat. Susan in preceded in her death by Jimmie Joy, Fred Hodges, Baby Joy and great granddaughter Victoria Ann Knutson. She is survived by three generations of family who loved her beyond words. Children; Patricia Knutson, Kathy Scott and husband Howard, Chris Joy and wife Tina Potter. Grandchildren; Brenda Knutson, Kelly Knutson and wife Stacy, Wendy Dutton and husband Kelly, Keith Knutson, Jimmie Scott and wife Celine, Shelly Scott and James Joy. Great Grandchildren; Jesse, Katelynn & Patrick Dutton and wife Kristen, Alex & Dustin Delange, Julian Plata, Kyle & Kayden Knutson, Jazsmine, Xavier, Danielle & Lucus Scott. One nephew, Tom Hamilton and one niece Patsy Hamilton. Columbia Mortuary in Columbia Falls is caring for Susan's family.